This lesson is great to use around Thanksgiving! (Any time else will work too). 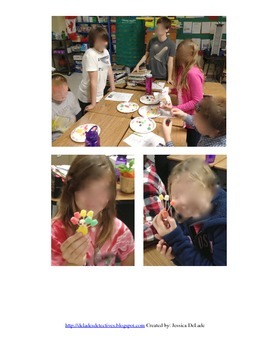 It is a hands-on lesson that uses gumdrop nutritional facts to review math skills-addition, subtraction, multiplication, and division. Students work in groups of 4-6. Each group gets a bag of Gumdrops. 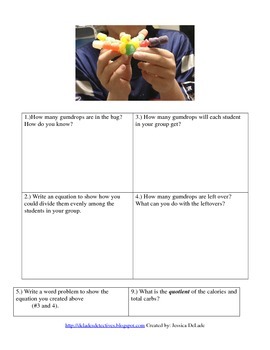 Each student gets a worksheet (12 questions) and 5 toothpicks (you can give more or less toothpicks). As a group students have to answer questions on the worksheet, using the nutritional facts on the bag. I give each student one big gumdrop typically used for the body. 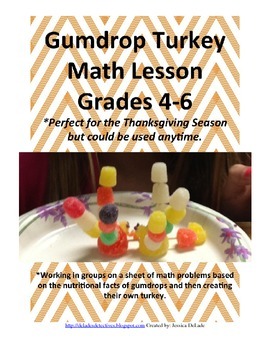 Each student gets their share of the small gumdrops and students start creating their turkey. When they finish, they will write a paragraph about how their family will use Math over the Thanksgiving Break. At the very end students have the choice to eat their creation or they put it in a plastic bag to take home. 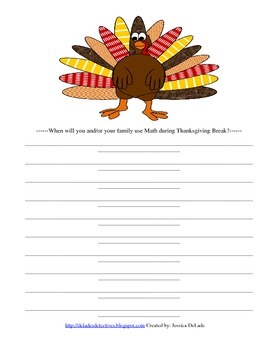 Included are a lesson plan, 3 page worksheet for students, pictures of gumdrop turkeys, stationary for writing, and a short note home requesting supplies to be sent in.